If you had that extra slice of pizza over the weekend, had one too many jalapeño poppers, or two too many vodka tonics, you’re probably thinking about how you can get back on track. Luckily, it’s not as hard as you’d think. Don’t worry… kale isn’t involved. What better way to start than a bowl of all-natural, organic, colorful ingredients? 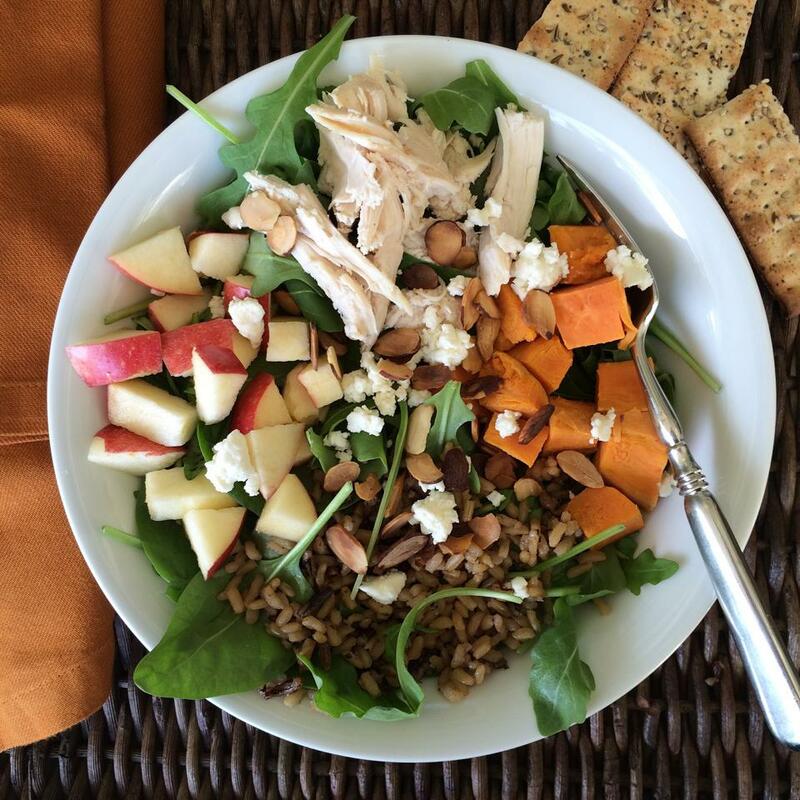 Think wild rice, apples, sweet potatoes, toasted almonds, crumbly feta cheese, roasted chicken, all on top of a bowl of fresh spinach and arugula. I think I’ll call this salad, the Wild Child. Groovy. Place spinach in a bowl. Top with rice, chopped apple, sweet potatoes, chicken, almonds, and feta. Toss lightly with balsamic dressing. 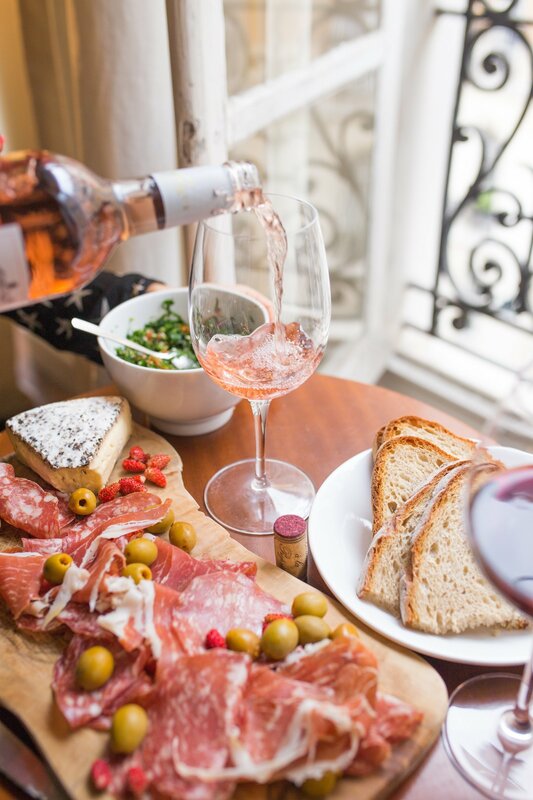 Serve with a slice of crusty bread, or crackers. Makes one serving. If you don’t have time to roast a sweet potato, you can microwave it. Pierce the sweet potato skin about 5 times with a fork; place on a microwave safe plate and microwave about 5-8 minutes, or until cooked thoroughly. Rotate halfway through the cooking process. Sometimes we’re in a rush and don’t have time to cook a chicken. I totally understand. Although more expensive, pick up a rotisserie or frozen chicken breast at your local grocery store.